Here at Mordue Moving & Storage, it’s all about family. 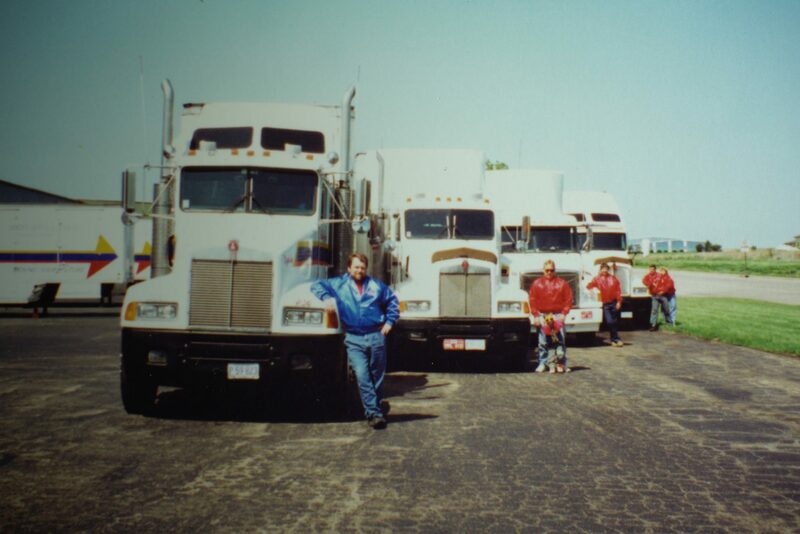 Our family has been in the moving business since Robert Mordue started the business in 1935. It takes time to learn how to do a move right, and after 80-plus years, we think we have it down. To serve your family right, we start by treating our drivers and crews like family. Some of them have been with us for decades. We consider them more craftsmen than movers. Russ Adams, who has a background in electrical work, says he can teach someone to rewire a house faster than he can teach someone to move one. A self-described drill sergeant, he accepts nothing less than every team member striving for perfection on every move. We know that moving can be stressful. We will work to understand the unique situations of your move. Some families are excited to move to a bigger and better house. Other families are reluctantly moving from a beloved home after an unexpected life event. We understand the difference, and we will build a move that meets your needs. 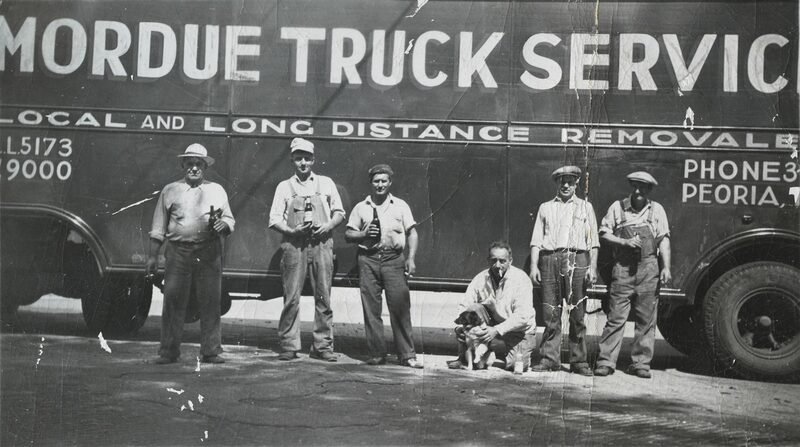 Mordue's first moving crew, 1937. Your move begins with a tour of your home to identify any items of concern and to build a plan of action. Antique furniture? Keepsakes? We want to keep them safe. Rooms that aren’t quite ready? We will save them for last. We use our tablets to record this data and send back in real time to our team. As the customer, you define what a successful move looks like. We then work hard to exceed your expectations. The driver on the scene leads the move, not a remote office manager. You’ll have the same driver and crew pack your belongings, drive to your new location, and unpack. Not uncommonly, by the end of the move, the homeowner’s family and our crew feel like old friends. Many of our families wouldn’t think of having anybody else move them. We regularly hear things like, “you moved my dad 40 years ago.” Our success is built on happy customers who refer us to their family and friends. Our founder, Robert Mordue, was legendary for his unsurpassed work ethic. If the weather was freezing, he had a solution: “The heat’s in the furniture. Pick it up!” He was right. We wouldn’t feel cold for long. At age 69, Robert could still move a triple dresser up a flight of stairs, and his doctor said he had the heart of a 30-year-old. Our CEO, Russ Adams, learned his work ethic from Grandpa Robert Mordue, who would schedule two eight-hour moves a day. Grandpa Mordue thought nothing of working a 16-hour work day. Many things have changed since Robert Mordue’s days like houses keep getting bigger. A crew of two used to be able to handle an average sized move, and now it regularly takes three or four crew members. 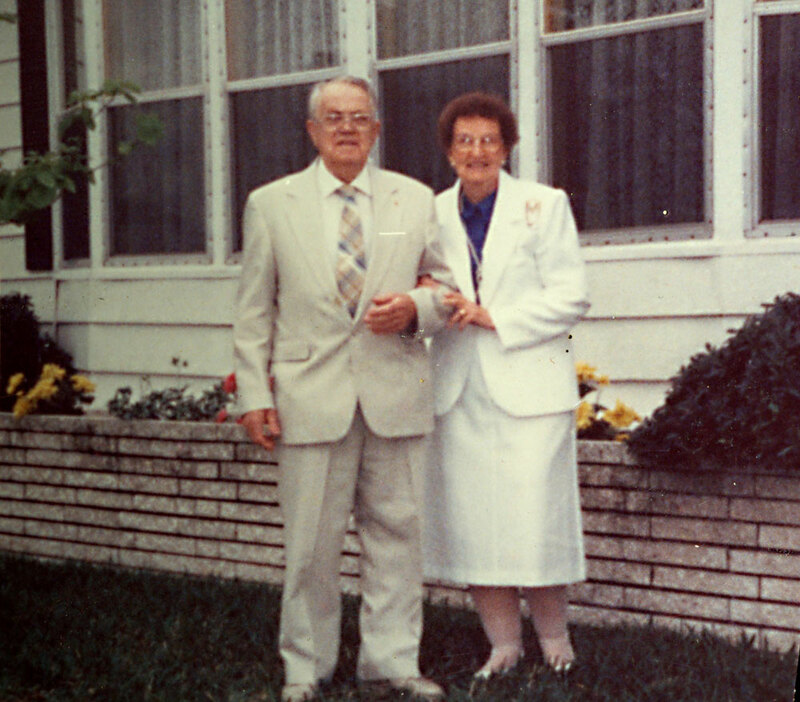 Grandpa and Grandma Mordue, 1980. We used to move a lot of pianos; in fact, it’s how we got our start. Although we still are expert piano movers, nowadays, fewer families own pianos. We partner with Arpin for our long-distance moves because, like us, they truly care about the results of every move. They are also a family owned company with a long history of meeting the highest quality standards. After a move, when we’ve unpacked the last box and left you in your new home, the only thing we leave you with is your feelings about the move. We do everything in our power to make sure those feelings will all be good ones. One customer told us he had moved 17 times and that the move we did for him was by far his best one. That’s what we aim for. Give Mordue Moving & Storage a call and let us build a move that meets your family’s needs and exceeds your expectations. If your family is facing a move, get an estimate from us. We’ll take good care of you.